Location: Situated on the E side of the A487 in Bontnewydd, just to the S of Capel Siloam and some 55m N of the bridge over the Afon Gwyrfai. Mid to later C19 chapel house for Siloam Calvinistic Methodist Chapel. Coursed rubble stone with slate roof and stone end stacks with brick extensions. Rendered rear elevation. Two storeys, double-fronted with 12-pane horned sashes and centre door. Timber lintels to ground floor windows and doorway. Boarded door. One narrow sash window to W end and three windows to rear. E end has rendered single storey addition. Included for group value with Capel Siloam. 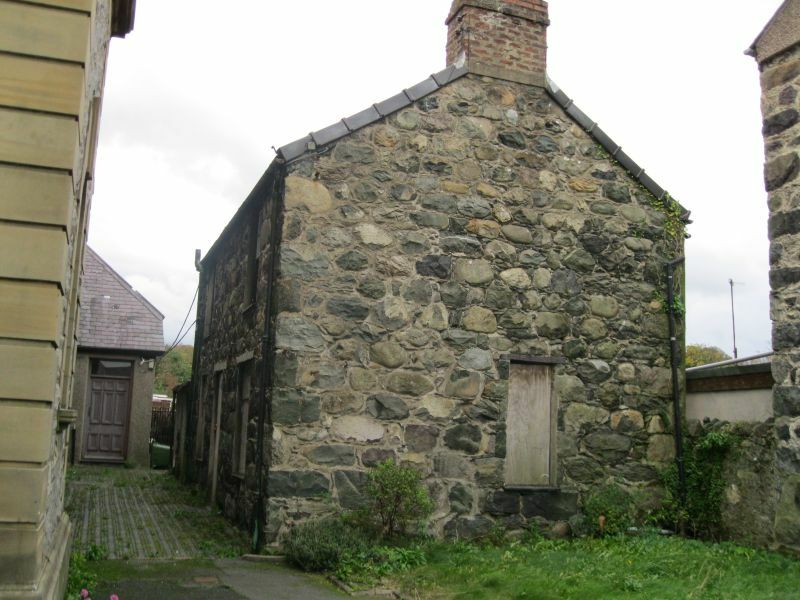 Situated on the E side of the A487 in Bontnewydd, some 70m N of the bridge over the Afon Gwyrfai. Situated on the E side of the A487 in Bontnewydd, just N of the bridge over the Afon Gwyrfai. Situated on the E side of the A487 in Bontnewydd, some 30m S of the bridge over the Afon Gwyrfai. Situated on the E side of the A487 in Bontnewydd, some 140m S of the bridge over the Afon Gwyrfai. Situated on the E side of the A487 in Bontnewydd, some 170m S of the bridge over the Afon Gwyrfai. Situated on the W side of the A487 in Bontnewydd, some 170m down a track S of the bridge over the Afon Gwyrfai. The Bridge spans Afon Gwyrfai on the west side of Bontnewydd. The bridge carries the road to Plas-y-Bryn over the Afon Gwyrfai some 400m E of the A487, SE of the centre of Bontnewydd.